Recidivist lawbreakers and people who need to be told what to do will probably benefit most from the latest Japanese car-navigation system from Nissan, which warns drivers of the dangers of drunk-driving whether they’re Methodist ministers or hotel-chain heiresses. 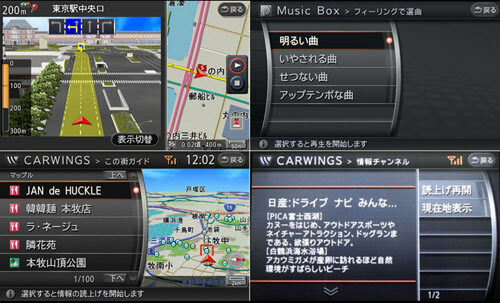 A recent upgrade to the space-age Carwings navigation system Nissan offers on all its cars comes with a nagging voice that is intended to help deal with Japan’s notoriously high DUI problem. Drivers starting their cars after 5:30pm will be warned by the sat-nav “Do not drive after drinking!” for all of five seconds, while the message changes after 5am to “Let’s continue safe driving today”. Reducing drunk-driving should obviously be a priority, but such passive warnings are well known for being ineffective. On top of that, the nannying style of modern life in Japan shines through clearly, as the Carwings upgrade is part of a safety drive known as the ‘Hello Safety’ campaign. Other technologies used so far in Japan that take a more active approach include NTT DoCoMo’s Videophone Alcohol Check System that uses mobile phones to check the sobriety of commercial drivers. The system uses a central computer that needs to be fed regular readings from a 3G phone fitted with a breathalyser. Drivers need to be seen via videophone testing themselves before the data sent by the phone to HQ clears them to drive or not.